Sept. 25 (UPI) — San Antonio Spurs coach Gregg Popovich gave thoughtful answers Monday at media day while discussing President Donald Trump’s recent comments about the NFL. Trump spoke on Friday at a rally in Alabama, saying NFL owners should fire players who kneel before games during the national anthem. Trump also called those players “sons of [expletives]” during his remarks. The NFL responded Sunday and Monday night with series of peaceful protests and displays of team unity, as players, coaches and team owners from around the league linked arms in solidarity before the Week 3 slate of games. He offered several more lengthy responses, including one about white privilege. He called President Trump’s rescinding of the Golden State Warriors’ invitation to the White House “comical,” because Warriors star Stephen Curry had already said he was not going to go. He also likened Trump to a sixth-grader. 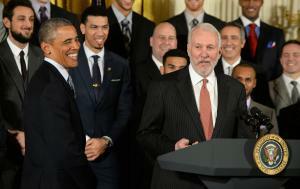 “Our country is an embarrassment to the world,” Popovich told the Express-News. Popovich served in the Air Force. 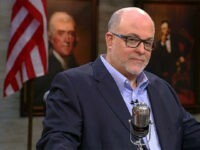 He also responded Monday to the President’s endorsement of NASCAR team owners who recently threatened to fire their drivers if they decide to protest during the national anthem. The Spurs face the Sacramento Kings at 9 p.m. on Oct. 2 at the Golden 1 Center in Sacramento in a preseason matchup. San Antonio tips off its regular season slate at 8:30 p.m. on Oct. 18 at the AT&T Center in San Antonio, Texas.